Lenovo has been skating on thin ice in the view of some informed consumers. For the past couple of months, the PC maker has been trying to put out one PR brush fire after another. Earlier this year, Lenovo was caught choosing ad revenue over customer security by implementing adware called Superfish into its devices. Just as the waves of that controversy we’re settling, in May, Lenovo had to address a massive security risk found in a variety of their PCs. So when Lenovo released the news about ‘adding’ some features to Windows 10, many welcomed the announcement with skepticism. However, for users of Lenovo PCs and tablets, they may find the new REACHit app a welcomed utility. REACHit is the result of a Lenovo and Microsoft collaboration. 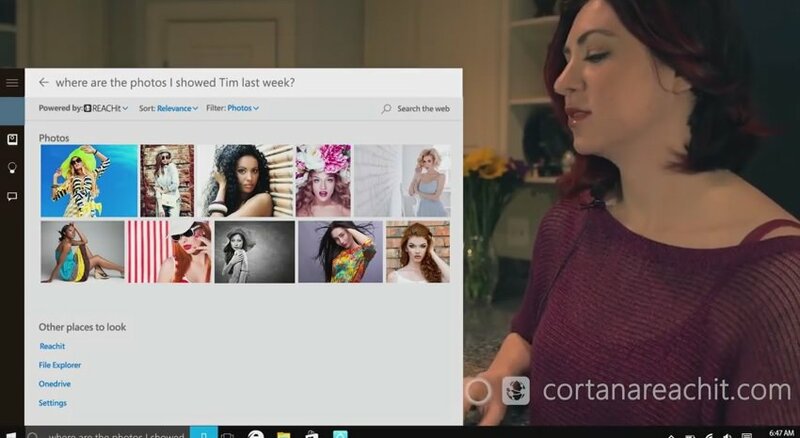 The app is intended to extend the functionality of Windows 10’s personal assistant, Cortana. At the heart of it, REACHit allows users to connect multiple devices and cloud storage services while utilizing Cortana’s search abilities, to quickly find files. With Cortana integration, the experience for Windows 10 users will now feel more native as they pull up search queries from the taskbar. Cortana and REACHit looks to only work on Lenovo PCs and tablets running Windows 10 for now.